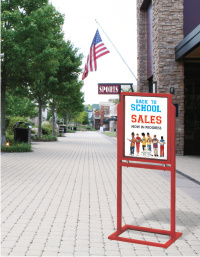 Product Description: Bring your signage outdoors without worry of water damage or fading. Our outdoor posters are high resolution, full color digital prints on 15mil white polystyrene. Durable for up to a year or more.